These Isas pay up rates of up to 16%: what’s the catch? Should you invest in an innovative finance Isa? The innovative finance Isa (Ifisa) landscape is growing, with several recently launched products offering interest rates that dwarf savings and cash Isa rates. The Ifisa allows you to use some or all of your annual Isa allowance to invest funds through peer-to-peer lending, where investors can purportedly earn up to 16% interest. With inflation still exceeding savings and cash Isa interest rates, many people are looking for alternative ways to grow their savings. But, with investing comes the risk of losing some, or even all, of the money you put in. So, is an Ifisa something you should consider? Which? explores the potential gains and pitfalls. Where a cash Isa just contains cash, and a stocks & shares Isa contains stocks and shares, an Ifisa contains peer-to-peer loans. Peer-to-peer lending matches investors up with borrowers. You, as the investor, are essentially giving the borrower, which could be a business, property developer or individual, a loan. The borrower then pays that money back, with added interest. Interest rates tend to be higher when you invest in a peer-to-peer scheme because you’re essentially cutting out the role of a bank, by investing money through an online portal – a bank would usually take a proportion of the interest repaid by the borrower, but you’ll receive it instead. Some companies will let you choose which projects, businesses or individuals you want to invest in, while others spread the investment out among a few on your behalf. The sites usually have their own credit checks for potential borrowers applying for loans, and also take care of collecting money from them. What are the highest-rate Ifisa accounts? Two of the most recent additions to Ifisa products include Safe as Houses Isa and The House Crowd, looking for investments in property. Safe as Houses is looking to fund projects developing ‘distressed properties’. These are buildings that are currently uninhabitable, or the owners have fallen behind with mortgage repayments and, therefore, the property can be bought for lower than market value. It’s also looking to develop properties brownfield sites, which are currently unused or derelict. It’s offering 6% interest over five years. The House Crowd offers a diversified portfolio of secured and bridging and development loans. Its Ifisa offers 7% interest. These projected rates are significantly higher than any cash Isa currently available, but other Ifisas suggest they could generate even higher returns, and some ask for minimum investments of just £10. See the table below to see what Ifisas are on the market, what industry they invest into, the minimum investment amount and what kind of returns you can expect. This table is solely designed to help you explore your options, and is not a recommendation or endorsement of any of the named lenders. It is updated every three months, so the rates stated in the table are subject to change. Among the highest rates, FundingSecure offers up to 16% on investments from £25. However, as a peer-to-peer ‘pawnbroking platform’ borrowers are looking for urgent loans to be given within 24 hours, which are secured against their assets. Borrowers are not required to pass any credit checks. 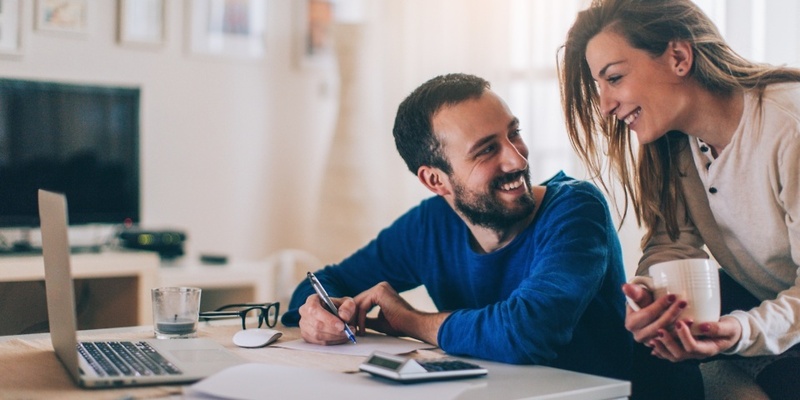 Ablrate offers variable rates up to 16%, but they’re set by the borrower and you have to decide if the return is worth the risk. Past funded loans include units for a film studio, a waste management company and a modular building company. Find out more: We’ve reviewed the four most-used peer-to-peer lending platforms that offer innovative finance Isas: Funding Circle, RateSetter and Zopa. How risky are these types of Isas? The first thing to note is that peer-to-peer lending is not the same as a savings account – your capital could be at risk. One consideration when looking to invest in any kind of peer-to-peer company, is why the business or individual hasn’t gone for another means of getting a loan. Sometimes it’s because they’ve been refused by banks and other more traditional loan providers. So, if others aren’t willing to take the risk, are you? As for the kind of individual lending against borrower’s assets, the fact that people have been forced to put up their possessions in return for a loan suggests they’re short on cash and have a poor credit history. If they can’t repay the money, then you’d be banking on the sale of their assets to cover the amount you’ve invested and the interest you’re due. There’s no guarantee this will be the case. Investing in property might seem like a good idea on the face of it, especially considering the recent rise in house prices over the past few years. But there’s also a lot that can go wrong with this kind of investment. For instance, you should consider where the money for the interest you’re expecting is coming from. If a property is being sold to developers, many factors can mean projects are delayed, planning permission may be denied, or the development company could go bust. If the house needs to be sold before you’re repaid your investment, there may be outside factors that affect the price – from a downturn in the economy to something such as the introduction of parking permits that could put off some potential buyers. Perhaps you’ll only be paid once the property is rented, but there’s no guarantee tenants will want to live there. These are just some of the factors that can make property investment unreliable, so you’ll need to consider whether a potential attractive return rate is worth the risk of losing your money. What are the drawbacks to Ifisas? With Ifisas, as any type of investment, you are not guaranteed to get back all of the money you invested. The most immediate risk is that whichever borrower has received your investment fails to pay it back (known as ‘defaulting’). If your investment has been split across different borrowers, the impact of this on the overall amount you’ve invested will be reduced. If you’ve solely invested in one particular project, and it goes wrong, then you could lose everything you invested. Some sites have compensation funds in place to cover you if a borrower defaults, but many don’t – instead ‘making up’ for the risk with the chance of higher returns. This means that if a borrower cannot pay back your money, you won’t be able to get it back. Not all advertised rates include the sites’ fee deductions, so you may actually receive a lower percentage than you were expecting. You need to weigh up the risk of losing some or all of your money. The risk may be less if there’s a compensation fund, but the rates may reflect this. Check the terms for withdrawing funds early – it’s not always allowed, and if it is allowed you may have to pay a fee. How can I use my Isa allowance with an Ifisa? There are still a couple of weeks left of the 2017-18 tax year to use up your Isa allowance, which then resets on 6 April when the new 2018-19 tax year begins. For both tax years, each person can invest up to £20,000 in an Isa, tax-free. This allowance can be solely deposited in a cash, stocks & shares or innovative finance Isa – or it can be split. You can put up to £4,000 a year into a lifetime Isa, or up to £2,400 in a Help-to-Buy Isa. What happens if I lose the money I’ve invested in an Ifisa? When choosing a site to invest with, you should always check to see whether the company you’re investing with has been approved by the Financial Conduct Authority (FCA). Being approved means the company is being regulated to ensure it’s following codes of best practice. You can search the FCA’s register of authorised companies – if the one you’re dealing with does not appear, we’d advise against investing with them. However, the FCA cannot protect against loss of investment, and peer-to-peer sites are not covered by the Financial Services Compensation Scheme (FSCS), so if an investment goes wrong you will lose your money and do not have any rights to claim it back. Where else can I find high interest rates? They may not offer 16% interest, but there are a number of current accounts that pay up to 5% – and they don’t come with the associated risks of a Ifisa. Nationwide’s FlexDirect account offers 5% AER on balances up to £2,500 when you pay in at least £1,000 a month. This is only for the first 12 months, however. The TSB Plus account offers 3% AER on funds up to £1,500 as long as £500 is paid in each month and you register for online and paperless banking. There’s also the opportunity to earn up to £10 cashback a month, for a limited time. The Tesco Bank current account also offers 3% AER on balances up to £3,000. You need to pay in £750 a month and set up at least three direct debits.